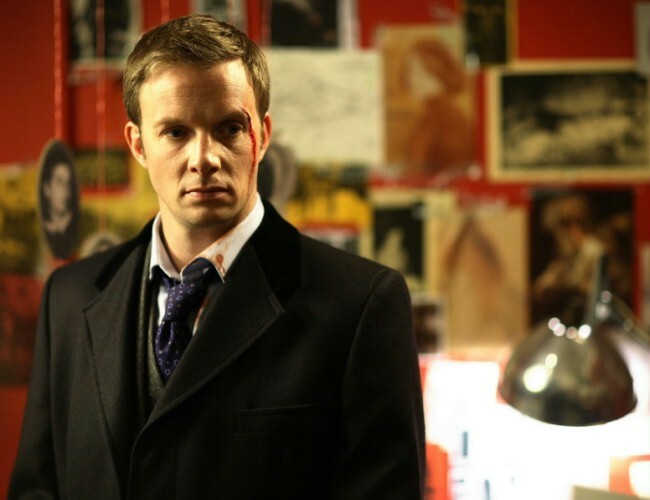 I have recently discovered the TV show Whitechapel, a blend of historical and modern crime. How I’ve missed this show for the past couple of years I don’t know, because I love it! I continue to watch for Detective Inspector Joseph Chandler, the lead character. He’s handsome, of course, but he’s also a little alone in the world, a little different from his colleagues, and a little bit wounded. One of my favorite kinds of hero. 1. I swoon for heroes who are willing to work for the affection of the heroine. Barbara Samuel’s Tynan Spenser does just that in The Black Angel. His betrothed is a stranger to him, and a necessary one—her father can help him win the seat in Parliament he covets. But that doesn’t mean they can’t share affection, and he sets out to win hers with a kiss each day. He carefully picks his moments (and body parts), and I love his creativity and the thought that goes into his courtship. What woman wouldn’t? 2. I adore heroes who are/were soldiers. Whatever reason a man decides to join the Army (to serve his country, to feed his family, because he was the second son of a nobleman), I am drawn to a hero who accepts the responsibility of command (however large or small), who does what he thinks is right. These are men who endure hardships both of body and mind, and who suffer damage to both in the process. The Regency period is rife with these heroes (lucky for me! 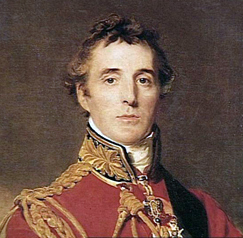 ), returning from the Peninsular Wars or the wars in America. My favorite? Grace Burrowes’s Devlin St. Just from The Soldier. 3. I relish heroes who are repentant. That’s right, repentant. They’ve committed a wrong in the past, and mature enough somewhere along the way to regret their actions. Case in point: Courtney Milan’s Evan Carlton from Unlocked. He teased and tormented a girl who was different to win popularity among the other young men and women of the ton. Classic bully, right? Absolutely. Then he leaves London, sees the world, and discovers there is more to life than the opinions of society…realizing what a Class A jackass he’s been. But he doesn’t stop there—he attempts to right his wrong, or at least repair some of the damage he caused. It takes a real man to fess up and apologize, and I applaud Evan for recognizing how badly he screwed up, and forging ahead to fix it. 4. I am utterly devoted to heroes who are the underdog. Maybe I’ve watched too many Disney movies (Cool Runnings is still one of my favorites), or maybe I’ve been the underdog once too often myself. Whatever the cause, I love a man who shouldn’t win the heroine’s love but does anyway. And the award for the most creative plot goes to Reginald Mason in Mary Balogh’s A Matter of Class. I won’t ruin the book for you if you haven’t read it, but it was masterful. And risky. Where most men would have given up the situation as hopeless, Reggie (and his accomplice) used society’s own rules to win a woman far above his station. Take that, Beau Monde! chilly perfection on the impertinent, watched him coerce his siblings into doing what he thinks is best. And in the last book, Wulf’s own story, you saw him melt little by little in the presence of Christine. He’s still the daunting duke on the outside, but his inner self gets to shine. He gets to be caring, sweet, and even a little silly. How can you resist a man like that? So those are my favorites. What are yours? Are there different types of heroes in contemporary vs. historical romances? Or paranormals? My good friend Susana Ellis joins us in honor of her debut novella Treasuring Theresa, available today! 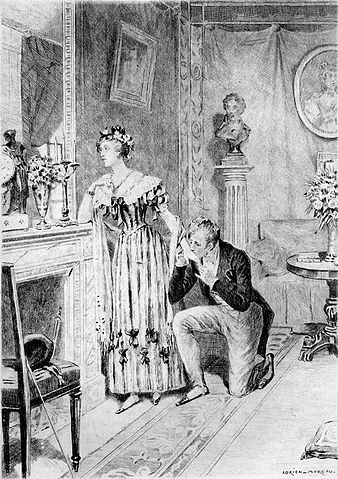 At the betrothal ball of the man she had expected to marry herself, Lady Theresa latches on to the most dashing gentleman present, hoping to divert attention from her own humiliation. That gentleman happens to be her father’s distant cousin and heir, Damian Ashby, a useless London fribble in her opinion. He is not favorably impressed with her either. But when her father becomes mortally ill and Damian is obligated to spend time with her at the Earl’s country estate, the two of them unexpectedly find admirable qualities in each other and discover a mutual attraction. Oh dear, this is going to date me. But it was Dear Doctor Marcus, a Harlequin by Barbara Perkins. I think I was in junior high school at the time. I read it many, many times. And then I bought every Harlequin I could get my hands on, until my bookshelves were overflowing! Your house is on fire—which five romance novels do you grab on your way out? Gosh, I would grab my Kindle, of course. Why limit myself to five? But if I have to choose, I’d choose Outlander, of course, and grab as many as I could of Mary Balogh’s and Georgette Heyer’s books. I’m not sure how secret it is, but I’m passionate about all things Regency. I’m having a Regency ball gown made by a costume designer in England to wear for the Romantic Times convention in Kansas City in May. I also bought Regency-era shoes to match, and had my author photo taken with a ringlets hairpiece. When I traveled to England last year, I made sure to visit as many places mentioned in my favorite Regency novels as I possibly could. Too bad the Vauxhall Pleasure Gardens no longer exist—I really wish I could better visualize what it looked like back then! I remember when I first read Dear Doctor Marcus how marvelous it felt when Carolyn first realizes that Marcus returned her feelings. Sort of a tingly feeling inside? I read over that passage over and over again. And then I was addicted. I wanted to see other couples come to that point and experience their happiness vicariously. After reading so many of them, I became more and more convinced that I could write them too. The stories have always been there—I just had to put them down on paper (or the computer screen). Is there anything in your story that comes from personal experience? Hmm…I was about to say no, because I am a born-and-raised Ohio farm girl who now lives in the city, but actually, that’s not strictly true. Treasuring Theresa is about an earl’s daughter born and raised in the country, who believes the city is full of useless snobs, and a viscount, one of the top Corinthians in London, who thinks people in the country are boring beyond belief. Needless to say, they both discover that their views are misguided. So there actually is something of my life in the story! What is your favorite kind of tea and how do you drink it? Uh-oh. I don’t really drink tea. Does that disqualify me from this blog? My mother loves chai tea, though. I am not a coffee addict either, although I do enjoy my cup of café français every morning. A former teacher, Susana is finally living her dream of being a full-time writer. She loves all genres of romance, but historical—Regency in particular—is her favorite. There’s just something about dashing heroes and spunky heroines waltzing in ballrooms and driving through Hyde Park that appeals to her imagination. In real life, Susana is a lifelong resident of northwest Ohio, although she has lived in Ecuador and studied in Spain, France and Mexico. More recently, she was able to travel around England and visit many of the places she’s read about for years, and it was awesome! 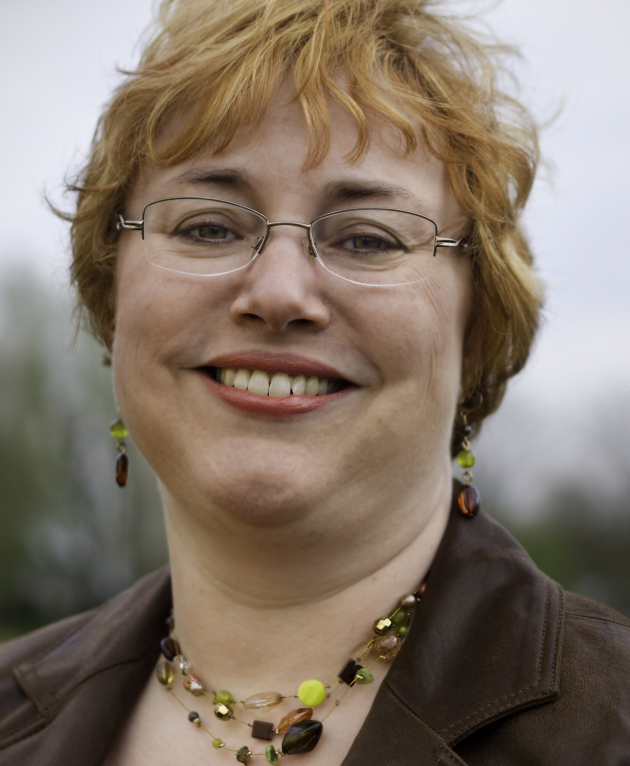 She is a member of the Maumee Valley chapter of Romance Writers of America. To celebrate the release of Treasuring Theresa, Susana is hosting a series of contests on her website for the month of January. All you have to do is answer a question about the Regency period and/or tweet about the contest and your name will be entered for the next drawing. Winners will be chosen on January 9, 16, 23, and 31. Available January 3, 2013 on Ellora’s Cave, January 10-24 at other e-book retailers.